The Occupational Safety and Health Administration--commonly known as OSHA--acts as a bureaucratic caped crusader, protecting American workers against unsafe conditions on the job. However, prior to 1970--when Congress authorized OSHA--no federal agency existed for worker safety. For those who have never worked without OSHA protections, taking them for granted comes easy. Others remember bygone days of exposure to cancer-causing chemicals or other dangers. Whether constructing roads or flipping burgers, workers face on-the-job hazards, making OSHA crucial. Congress swept the Occupational Safety and Health Act of 1970 into law to provide a host of protections against job-related illness, injury or death. While Congress acted out of concern for worker safety, it also recognized the threat to interstate commerce that hazardous workplaces can pose--not just from lost productivity, but also from medical bills and worker compensation, according to Section 2 of the OSH Act. The OSH Act authorized the Department of Labor to prescribe and enforce safety standards, and in 1971, Secretary of Labor James Hodgson established the enforcement agency known as the Occupational Safety and Health Administration (OSHA). The Department of Labor charged OSHA with safety research, standards and enforcement. OSHA does more than set safety standards. Its research agency, the National Institute for Occupational Safety and Health, uncovers and evaluates workplace hazards, including those from exposure to toxic or carcinogenic substances. OSHA uses this research to ground its safety standards in scientific consensus. Through the OSHA Training Institute, it passes on knowledge and know-how in courses covering everything from construction to marine terminal standards, according to the OSHA website. Finally, OSHA inspectors work on-site in states, ensuring that workplaces meet standards and issuing citations for violations of safety rules. The OSH Act draws strict boundaries for the jurisdiction and purpose of OSHA. For example, while OSHA safety standards reach across many industries, they do not include employers or employees of the federal and state governments. Under Section 3, "states" covered by OSHA include territories such as Puerto Rico, the Virgin Islands, American Samoa, Guam and the Trust Territory of the Pacific Islands. In addition, the OSH Act only adopts and enforces standards "reasonably necessary or appropriate to provide safe or healthful employment," according to Section 3. Finally, OSHA enforces standards with a national consensus, according to Section 3 of the OSH Act. Congress defined the mission of OSHA as part of its authority "to provide for the general welfare, to assure so far as possible every working man and woman in the Nation safe and healthful working conditions," according to Section 2 of the OSH act. The law states clear goals to reduce workplace hazards, but it also provides for research, medical criteria, training programs, standards and enforcement, and finally, reporting procedures, according to Section 2. OSHA also works with states to assure they shoulder responsibility with the federal government. OSHA does not create standards in a vacuum, and in fact, its research regularly reaches out to employers and employees. Its research arm, the National Institute for Occupational Safety and Health, conducts field investigations that include worker and management testimony, as well as scientific analysis of exposure to hazards, according to the OSHA website. Murdock, Karen. "Define OSHA and Describe Its Purpose." 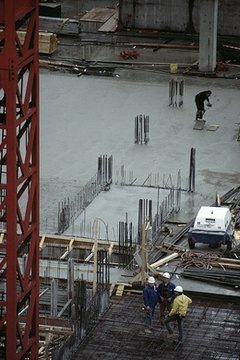 , https://legalbeagle.com/6361346-define-osha-describe-its-purpose.html. Accessed 23 April 2019.